The Volkswagen Tiguan and Tiguan Limited are compact SUVs with spacious seating for five or seven. Tiguan is new for 2018, whereas Tiguan Limited is a carryover from the previous generation vehicle. The 2018 Tiguan offers a fresh design and additional features, but the Tiguan Limited has more power and very attractive pricing. Either way, you get a high-value, capable SUV that will provide excellent performance, reliable service and a great warranty. Volkswagen Tiguan is equipped with a 2.0-liter turbo-4 engine making 184 horsepower and 221 lb-ft of torque, mated to an 8-speed automatic transmission. It provides fuel economy of 22 city/27 highway mpg in the front-wheel-drive version, 21/27 mpg for the AWD model. Tiguan Limited’s 2.0-liter turbo-4 produces 200 horsepower and 207 lb-ft through a 6-speed automatic, returning 20/26 mpg in FWD or AWD. The 2018 Tiguan is a larger than the Tiguan Limited. Tiguan is longer, wider and has 7.3 inches of additional wheel base. The Tiguan Limited is taller and weighs about 200 pounds less than Tiguan. The Tiguan interior has more front head room, front/rear leg room and front/rear shoulder room. Tiguan Limited has slightly more rear head room, but Tiguan has 101.1 cubic feet of passenger volume compared to 95.4 cu. ft. for Tiguan Limited. Tiguan offers safety features not available on the Tiguan Limited, including Automatic Post-Collision Braking System, Intelligent Crash Response System, rearview camera, available Adaptive Cruise Control, Forward Collision Warning Autonomous Emergency Braking with Pedestrian Monitoring, High Beam Control, Blind Spot Monitor with Rear Traffic Alert, Lane Departure Warning, front and rear Park Distance Control, and Overhead View Camera. 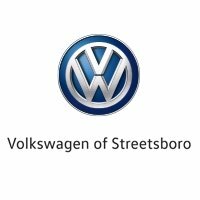 We invite you to visit Volkswagen of Streetsboro to test-drive the 2018 Tiguan and Tiguan Limited. You’ll find our customer service puts your satisfaction first, so stop in today! * 22 city/27 highway mpg (2018 Tiguan 2.0L, 8-speed automatic transmission). EPA estimates. Your mileage will vary and depends on several factors, including your driving habits and vehicle condition. * 20 city/26 highway mpg (2018 Tiguan Limited 2.0L, 6-speed automatic transmission). EPA estimates. Your mileage will vary and depends on several factors, including your driving habits and vehicle condition.